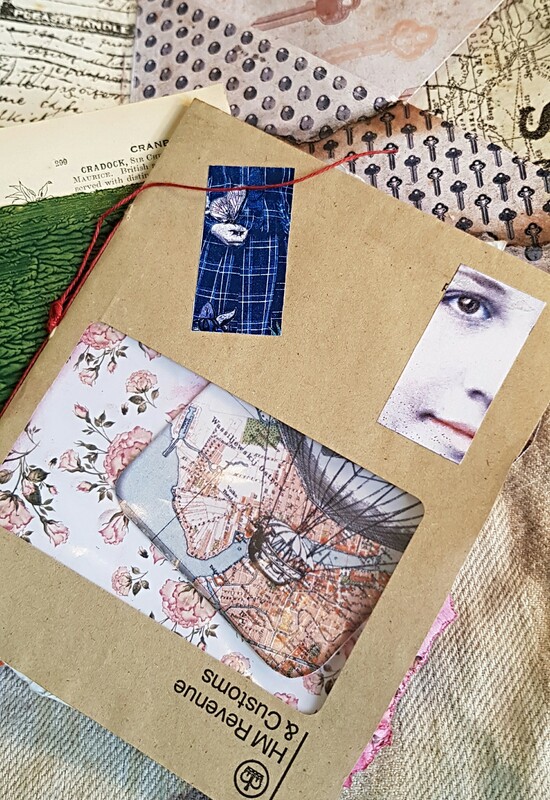 This month I created a junk journal from a children’s board book. The reasoning? What could be more true to the junk journal ideal than a well-worn, slightly chewed up board book I bought for 50 pence at a flea market! 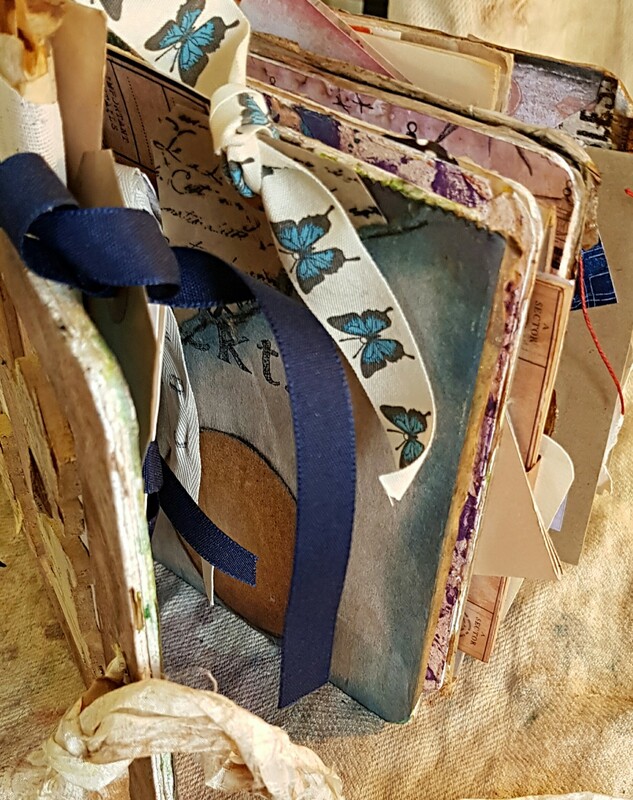 To alter a board book, first the pages have to be stripped of the glossy paper, then covered with gesso for a consistent finish with some “tooth.” They can then be decorated and embellished as with any junk journal. Obviously, there are fewer pages than a conventional book, so I added pockets, pockets, pockets. For the first page, I went old school and made a double pocket out of a paper grocery bag, which I then filled with an array of tags and cards. These were created with images from the graphics and ephemera from The Graphics Fairy’s Premium Membership site. 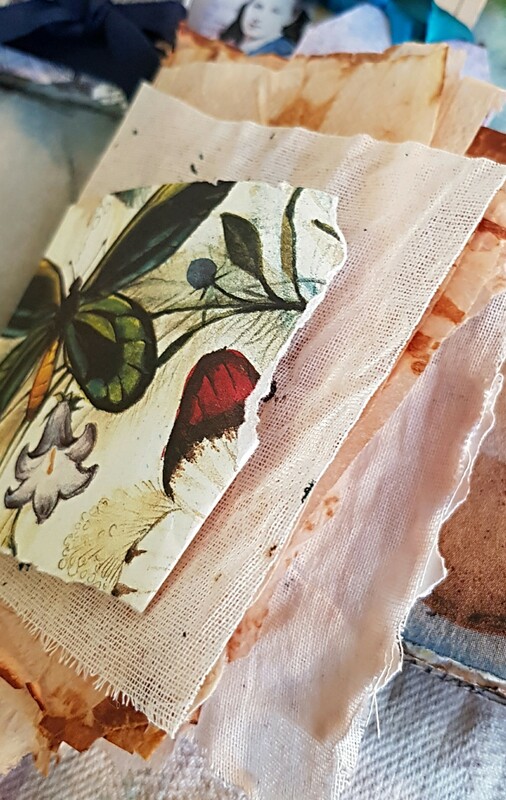 Almost hidden in the back is a notecard made from the Science and Laboratory bundle while foremost are several premade tags of 19th century beauties from Antique Portraits 2. 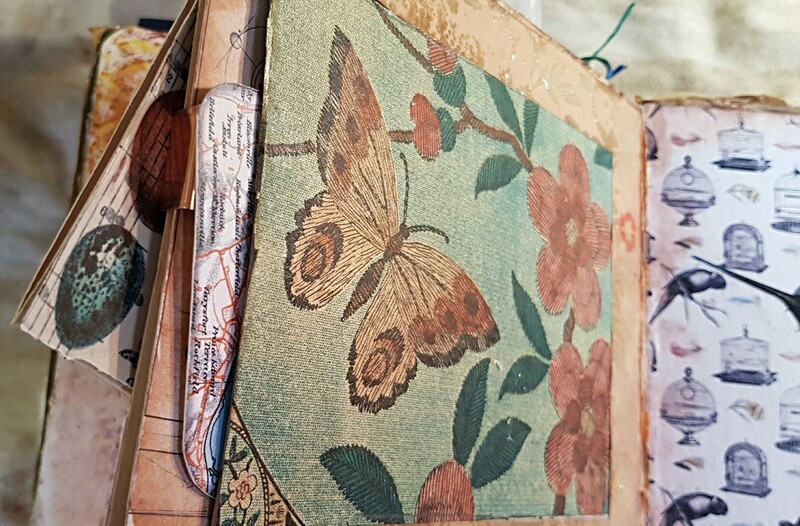 I also made a tiny junk journal from wrapping paper scrap and used tea bags. 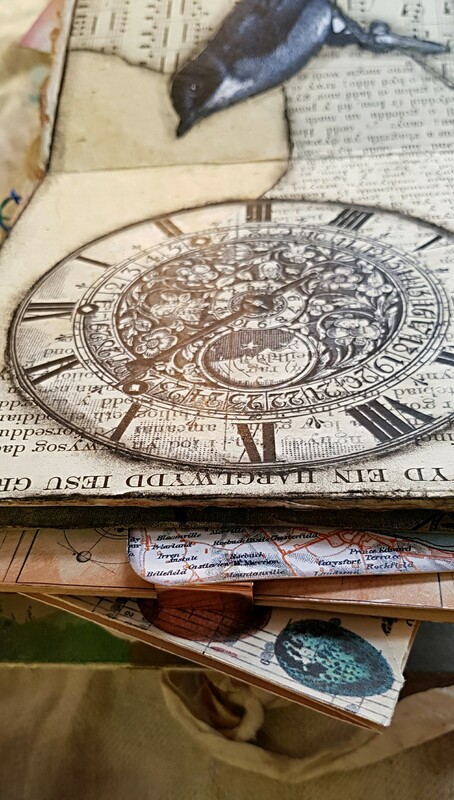 I started this page with a mulberry paper background and covered it with vintage text from my paper scrap box, a clock from the Clock and Watch Face bundle (one of my all-time favorites) printed on tracing paper, and a critter from Winter Birds. 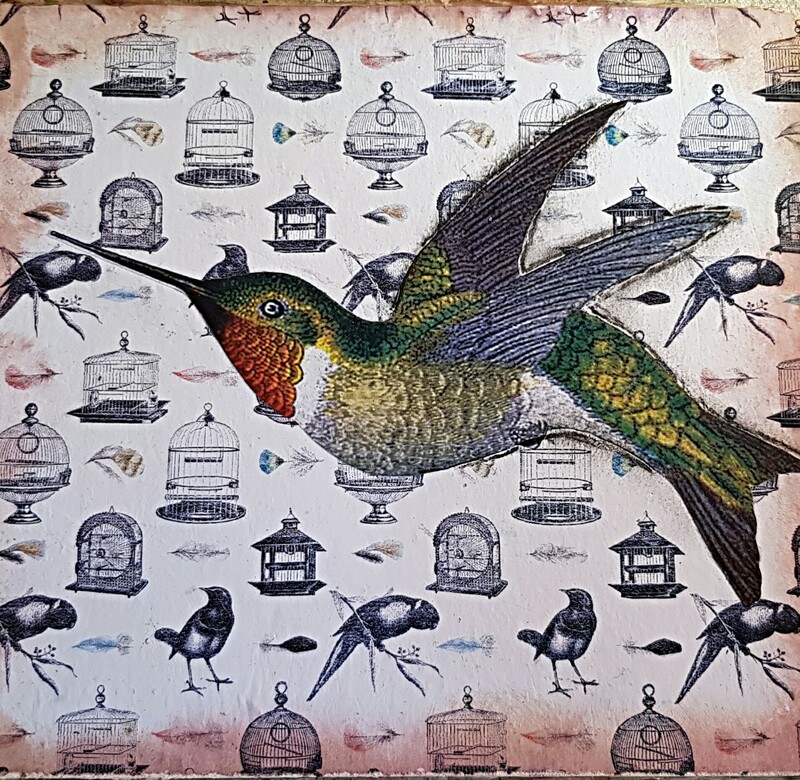 A hummingbird from Natural History Birds was used over a background sheet of “wallpaper” from the Bird Cages bundle on the above page. 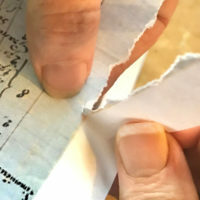 On the facing page I added another pocket from a used Do Not Bend photo mailer with a stiff cardboard back. 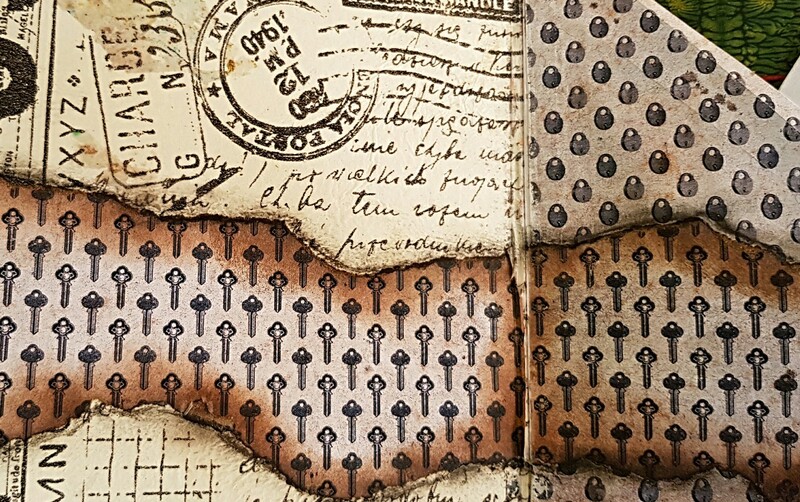 I cut it to fit the page, glued it down, then filled it with hot air balloon cards from Steampunk Images 2. 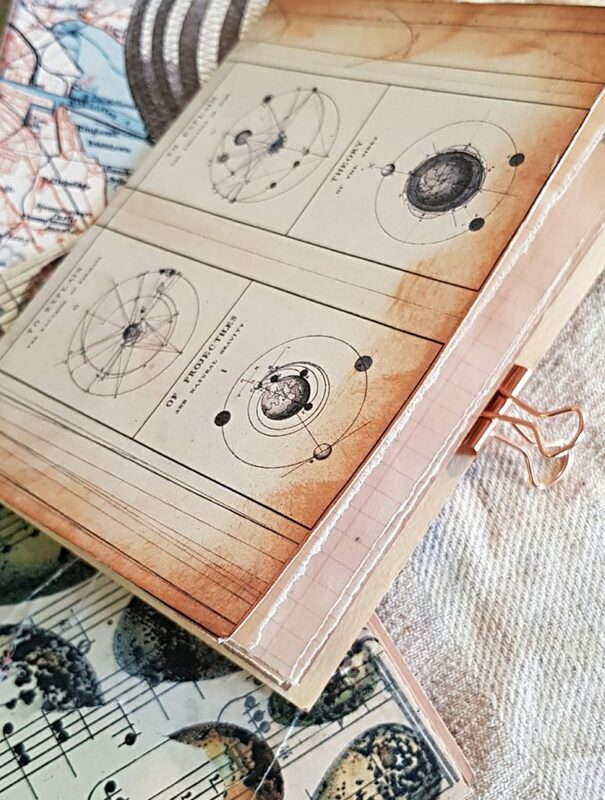 I also created a mini-journal made with an image from the Science and Laboratory bundle and tea dyed graph paper. The back pages needed more pockets so I printed up more “wallpaper” from the Vintage Keys Collection bundle. 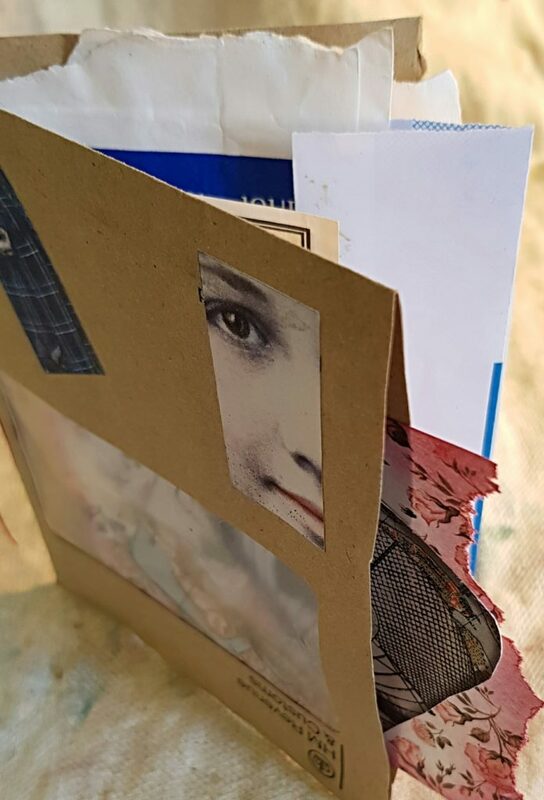 There are so many patterns offered there so I mixed and matched for a torn border that goes across both pages to “hold it together” to the eye, and two other patterns for an oversized envelope fold that gives two pockets. Inside of these I added more mini-junk journals. 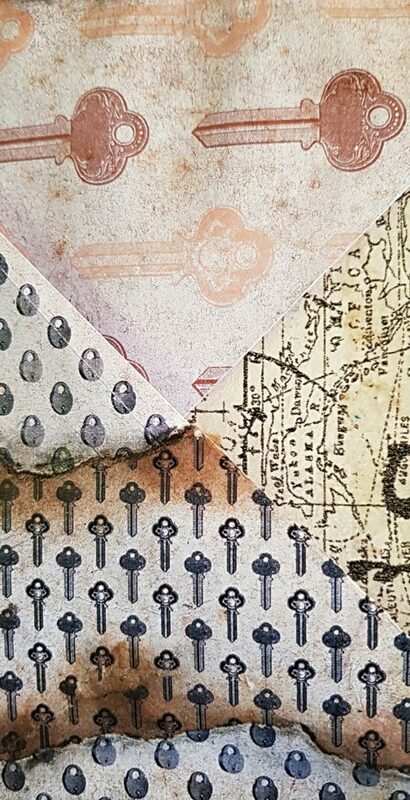 Finally some good comes of my tax bill in the form of the manila envelope with a see-through window that shows more cards and papers for journal work. 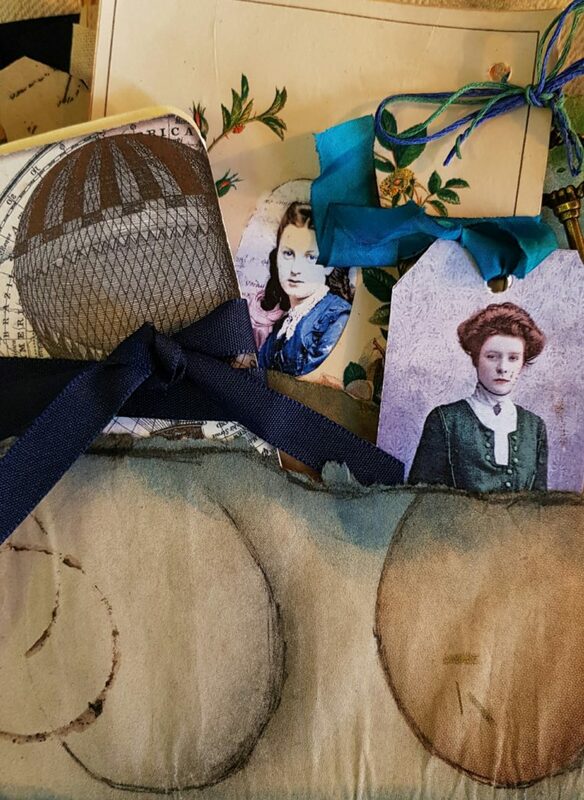 It was embellished with domino pendant stickers from the Antique Portraits bundle. I used images from several of the awesome bundles on the Premium Site. 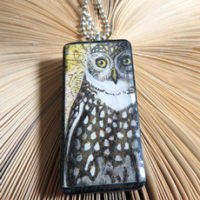 Here they are: Antique Album Pages, Natural History Birds, and Winter Birds. As well as, Celestial Images, Science and Laboratory, Bird Cages, Antique Portraits, and Antique Portraits 2. Other are: Clock and Watch Faces, Vintage Key Collection, and Steampunk Images 2. 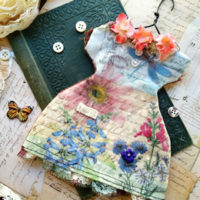 To see more of my book art, please go to Book and Paper Arts. 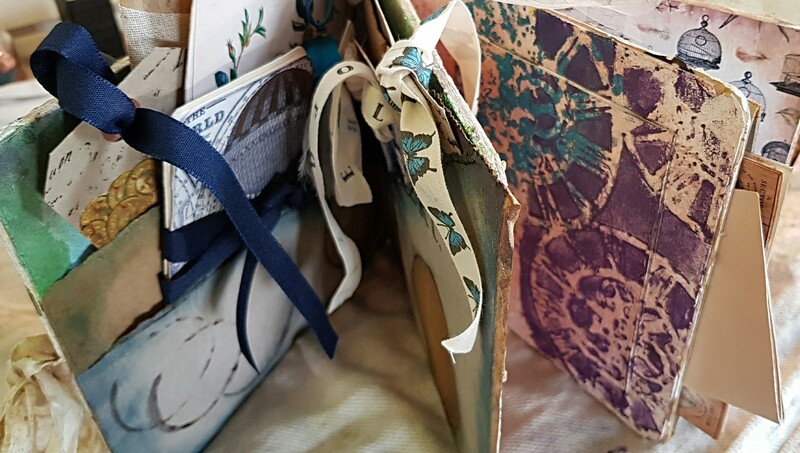 And please feel free to follow more of my book art on Instagram under the name @bookandpaperarts. Happy Friday!!! Thanks for all of the wonderful treasures today……..